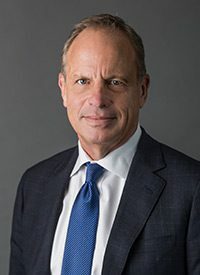 Marty Mayer has served as President and Chief Executive Officer of Stirling Properties since 2002. Stirling Properties is one of the most diversified full-service commercial real estate companies in the country, utilizing a team of trusted experts in brokerage, development and redevelopment, acquisitions and investments, and property and asset management over a wide array of property types across the Gulf South region. Mayer is affiliated with numerous industry and business organizations, including International Council of Shopping Centers (ICSC), Urban Land Institute (ULI), Greater New Orleans, Inc., Louisiana Association of Business & Industry (LABI), Bureau of Governmental Research, and New Orleans Business Council. He is also involved in many economic development and entrepreneurial movements throughout the greater New Orleans area and the Gulf South region. Mayer was inducted into the Junior Achievement of New Orleans’ Business Hall of Fame, and has been honored by the Young Leadership Council of New Orleans as one of the Top 25 Role Models of the Year.